What’s going on at St. Paul in Naples? 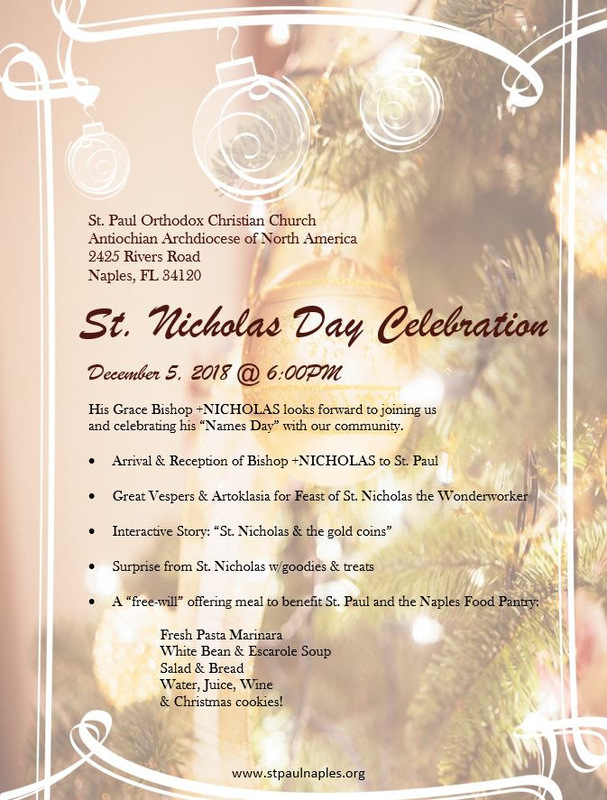 You are here: Home / Announcements / What’s going on at St. Paul in Naples? 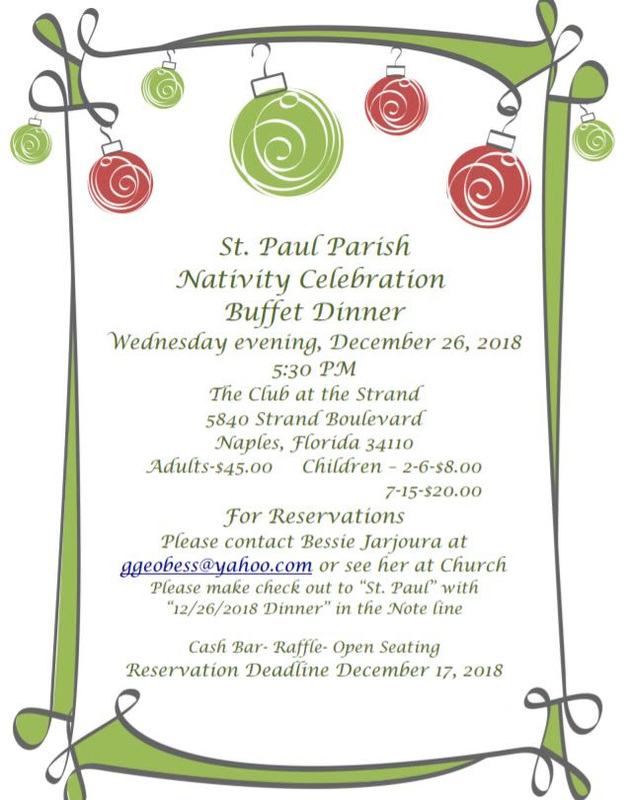 Final opportunity for parish Christmas card submissions is this Sunday (Dec. 2). Laila Corey will be accepting forms and donations after service or simply mail to Barbara Hebeka using the address below. 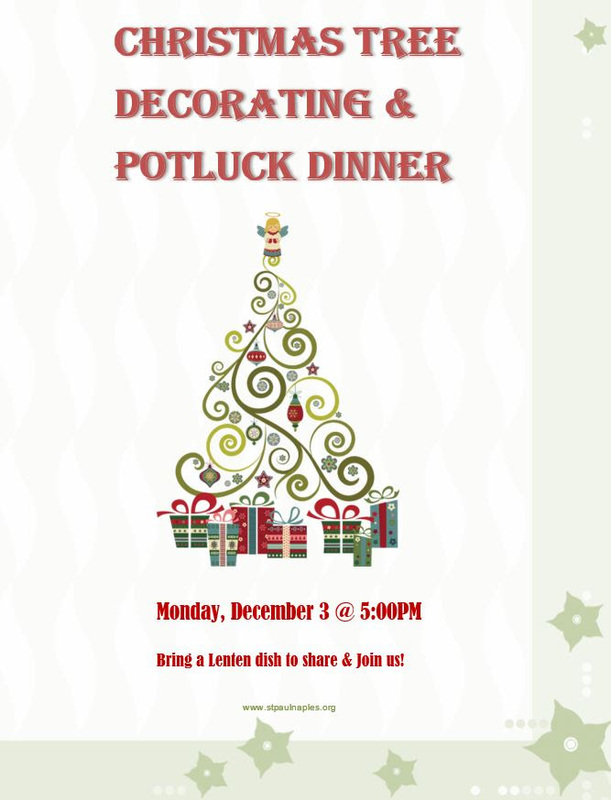 A Family & Friends Event – Join us! [NEW] St. Paul Bookstore – Orthodox Christian essentials!